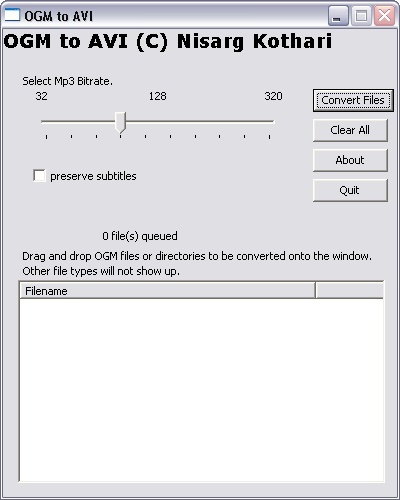 OGM to AVI is a simple and easy-to-use program that converts the OGM video format into the AVI format, without loss of video quality. Unlike previous methods of doing this conversion, this program completely automates the process. It handles demuxing, stream detection, audio conversion, subtitles, and the final creation of the AVI. Even if the previous terms sounded like gibberish to you, you would have no problem using this program!